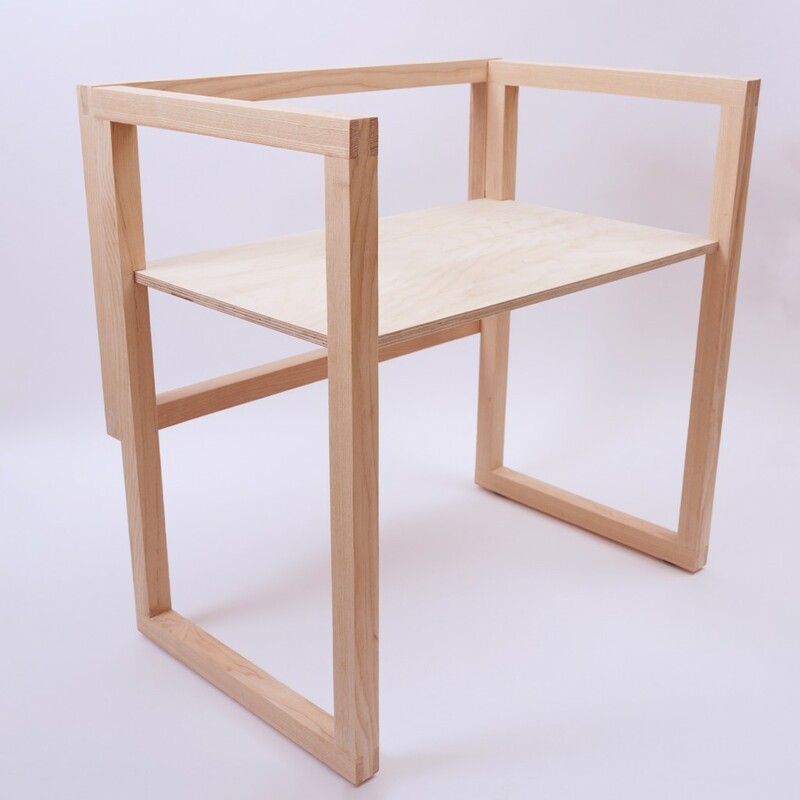 Ben Perkins is a freelance furniture designer maker who graduated from Camberwell in 2015. Ben recently exhibited his work in Milan, Italy. He was selected as part of an application process run by Arts Thread, the world’s leading network for new creatives, and Designers Block, a producer of major international design shows since 1998. At the event, held in BASE, Zona Tortona, in the heart of Milan Design Week (11th – 17th April, 2016) crowds of over 150,000 people were reported to be within the district over the course of the week. Ben was selected as 1 of 19 emerging designers across the world through the Arts Thread programme. 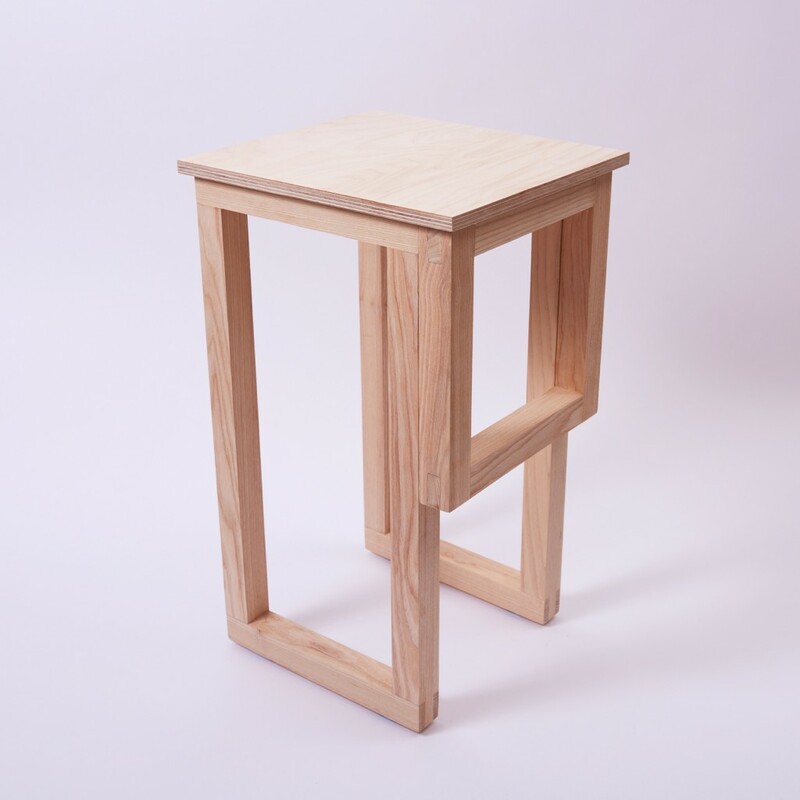 Ben is currently working on a space saving furniture collection which requires no nails or screws to assemble and can be put together in a matter of seconds with an angled fixing. The flat pack furniture he designs and makes also doesn’t require an instruction manual as the pieces are rather self-explanatory. We asked Ben some more questions about his time at Camberwell and what he is working on now. Why did you choose to study that course at Camberwell College of Arts? I chose to study the BA 3D Design course at Camberwell because there was an emphasis on making as well as designing objects; which I think is vital to young creatives in the design industry. How has life been since you graduated from Camberwell? To tell the truth, since completing my studies at Camberwell, I have received an incredible response from the space saving furniture range I am currently working on. I was selected from 5,000 graduating UAL students to the last 16 to exhibit at Design Junction last September. This was a fantastic opportunity to meet industry standard professionals up close and personal, so to speak. After this show, I was featured in local newspapers and even on the Camberwell College of Arts blog, which I am really thankful for. Can you tell us a little about your work now? The space saving furniture range I am currently working on is called Perki Furniture; an innovative solution for small space living. Lightweight, collapsible yet affordable, the pieces themselves can be assembled/disassembled in seconds without the use of any tools or equipment. In terms of the material, I use white American ash wood for its durability and weightlessness. What have you got planned in the coming months? I am currently awaiting confirmation on whether or not I will be exhibiting in Berlin in June, which is rather exciting. I am also in talks with a well established furniture designer, based in Finland, on a collaboration project in the near future. Nevertheless, I am looking to apply for a few different shows within the London Design Festival in September and I’m also keen to participate in a show before Christmas! I took part in one last year in Islington (ICADF) and it was a very valuable experience. However, at this present time, my main priority is expanding the Perki Furniture range and developing current designs. How does your Undergraduate degree fit into what you do now? Without my undergraduate degree, I wouldn’t be where I am today. I am truly thankful to the tutors at Camberwell for their support and the technician’s there for helping me upon request. Where is your favourite place in Camberwell/Peckham? My favourite place in Camberwell would have to be the studio/workshop spaces. Inspired by other students from the 3D design community, there will always be someone on board to seek advice from. I’d have to say my favourite place in Peckham would have to be Whitten Timber; the go to place for a vast range of hard woods. 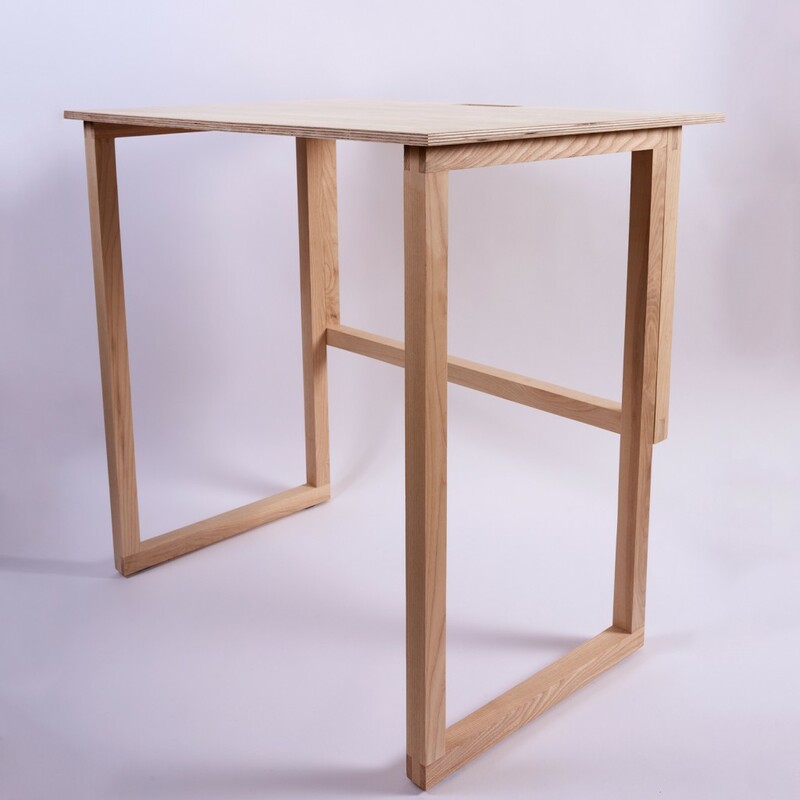 With an extremely friendly service and discounts for students, Whitten Timber have the resources and facilities for designer makers working with wood. What would you say to someone who is thinking about doing your course? Could you give some advice to current students and recent graduates? In terms of the 3D Design course itself, I would have say if you consider yourself to be passionate about design, then it is definitely a great decision to enroll. If I was to give advice to current students and recent graduates within this industry, it would be to continue working hard and, most importantly, strive to create your own design identity.